Accompanied by the Göteborgs Symfoniker (Gothenburg Symphony Orchestra), Scottish classical violinist Nicola Benedetti performs Dmitri Shostakovich’s Violin Concerto No. 1 in A minor, Opus 77. Conductor: Thomas Søndergård. Recorded in Gothenburg in April 2017. Conducted by Valery Gergiev, National Youth Orchestra of the United States of America performs Dmitri Shostakovich’s Symphony No. 10 in E minor (Op. 93). Recorded in London during the BBC Proms 2013. Conducted by Leonard Bernstein, the New York Philharmonic performs Dmitri Shostakovich’s Symphony No. 5 in D minor, Op. 47. Recorded at a 1979 live perfomance in Bunka Kainan, Tokyo, Japan. Dmitri Shostakovich’s Piano Quintet in G minor, Op. 57, one of best-known chamber works of the Russian composer. Live recording from the Verbier Festival 2008, Switzerland. Martha Argerich: piano, Joshua Bell: 1st violin, Henning Kraggerud: 2nd violin, Yuri Bashmet: viola, Mischa Maisky: cello. 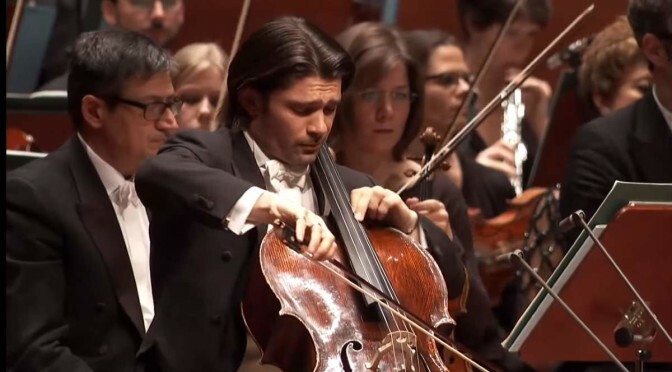 Accompanied by the hr-Sinfonieorchester (Frankfurt Radio Symphony Orchestra), the French cellist Gautier Capuçon performs Dmitri Shostakovich’s Cello Concerto No. 1 in E-flat major, Opus 107. Conductor: Andrés Orozco-Estrada. Alte Oper Frankfurt, June 11, 2015. 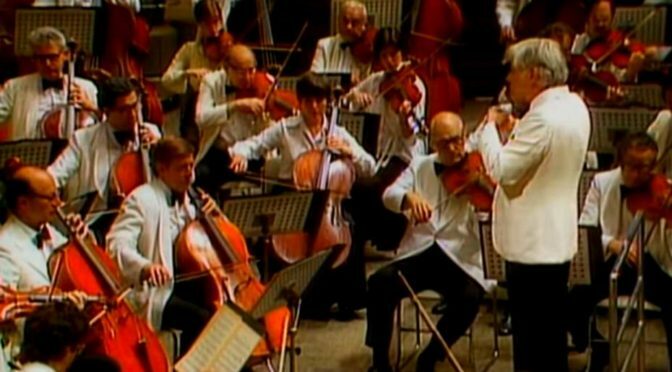 Netherlands Radio Philharmonic Orchestra (Het Radio Filharmonisch Orkest) performs Dmitri Shostakovich’s Symphony No. 13 in B flat minor (Op. 113, subtitled Babi Yar). Conductor: Dmitri Slobodeniouk. Bass: Sergej Aleksashkin. On April 3, 2011 at the Grote Zaal Concertgebouw, Amsterdam. 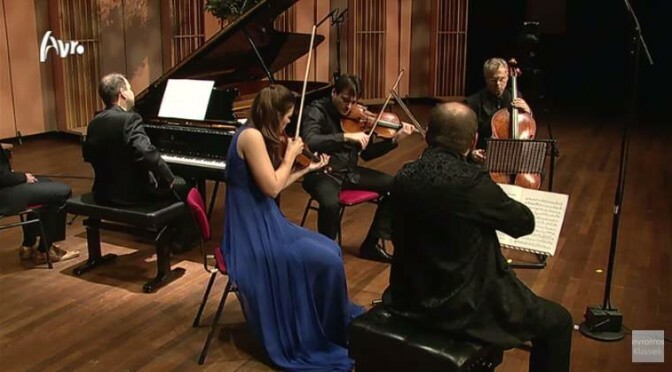 Janine Jansen and Friends play Dmitri Shostakovich’s Piano Quintet in G Minor, opus 57; one of his best-known chamber works. It is written for piano and string quartet (two violins, viola and cello). Recorded during Janine Jansen’s Internationaal Kamermuziek Festival (International Chamber Music Festival) Utrecht on December 30, 2012. The BBC Symphony Orchestra (BBC SO) plays Dmitri Shostakovich’s Symphony No. 5 in D minor, Op. 47. Conductor: Valery Gergiev. Conducted by by Paavo Järvi, hr-Sinfonieorchester (Frankfurt Radio Symphony Orchestra) plays Dmitri Shostakovich’s Symphony No. 1 in F minor (Opus 10). Alte Oper Frankfurt, March 6, 2015.